No agreement with respect to the surrender of all the surrounded has been reached yet (the negotiations that were reported earlier are still ongoing). Accordingly, the Cauldron is starting to break up into parts. The 72nd Brigade for all intents and purposes has ceased to exist due to ammunition and food rations running out. They held on while they still had resources and then began to exit into the territory of the Russian Federation – at first in separate groups, followed by the surviving remnants of the once full-fledged brigade. Those who remain in this part of the Cauldron were given an ultimatum to surrender and exit to Russia and not to touch the hardware. Otherwise, the Grads will start working again. Strained arguments are ongoing there now; military commanders are reasoning that the potential for resistance has been exhausted and that they must surrender so as not to kill people in vain. Pravoseki [Note: Praviy Sector militants], mercenaries and the political zealots are demanding that the resistance be continued at all cost. As a result, a complete surrender is likely impossible – the majority of the military personnel will surrender and others will be leveled [with Grad MLRS], particularly in view of the fact that they have nothing to respond with. 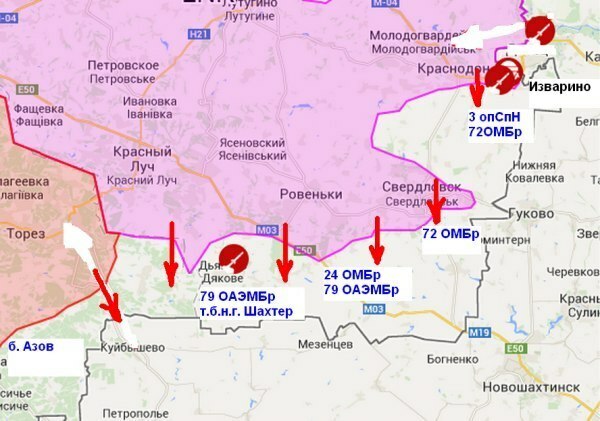 In order for you better to understand what has happened, those who surrendered were the remnants of the 72nd Brigade that were driven from Izvarino and Sverdlovsk toward the border with the Russian Federation. At the same time, the Cauldron continues to exist in the gap between Marinovka and Birukovo, where the remnants of the 79ths Separate Aeromobiles Brigade and the 24th Separate Mechanized Brigade, as well as the various reinforcement units and punitive formations, continue to hold defensive positions. “Servicemen of the 72nd Brigade divided into two units. The first unit broke through the ring of terrorists, and the second unit covered these servicemen. After that, one of the units had their ammo and provisions run out. Military hardware that was on the battlefield was damaged. After that the personnel was forced to transport into the area of the border crossing checkpoint in Russia. 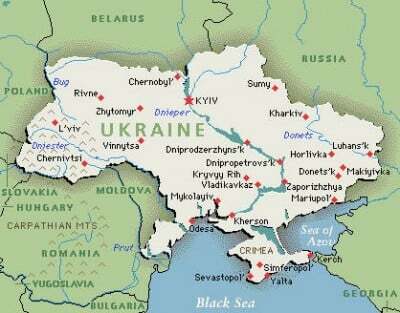 According to latest information, the servicemen are in the territory of Russia. 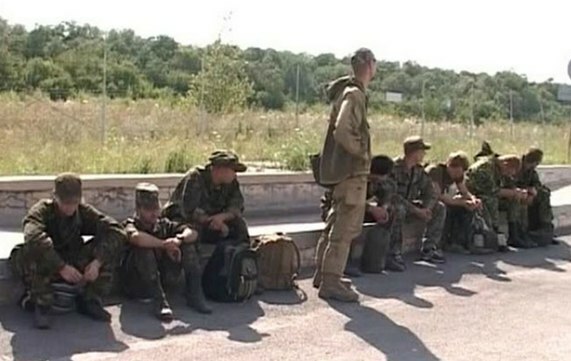 The number of the servicemen is being confirmed.” According to his statements, reinforcements have already arrived to assist the servicemen that covered those who were breaking through the ring of terrorists.